Follow these best practices to ensure your roof and its components last as long as expected. Roofing systems have a finite life expectancy that can vary widely depending on climate, exposure, material type, and installation. All roofs require regular inspections and periodic maintenance to achieve good performance and long service life. Proper care, attention, and ongoing maintenance can extend the service life of a roofing system significantly. Five steps can help building owners and facility managers to enhance performance and extend the lives of roofs to get the best return on this critical investment. It is important to understand that the roofing system consists of considerably more than just the roof covering, and includes all components that impinge on roof assembly performance. The overall roof system includes flashings and penetrations of mechanical and electrical equipment, roof drainage components, lightning protection, satellite antennas, and rooftop communication equipment, contiguous walls and through-wall flashings, fall protection devices, and roof access points. • Dimensioned roof plan showing drainage scheme, type and amount of thermal insulation, size and location of mechanical equipment and features, and type of perimeter edge conditions. • Guarantees/warranties (contractor and manufacturer). • Maintenance and repair records. • Changes or upgrades to rooftop mechanical equipment. • Log or record of work performed by personnel to other building features accessed from the roof (e.g. exterior walls, skylights, HVAC units, communication equipment/devices, etc.). A good facility management software program to store and update this information will be very helpful. 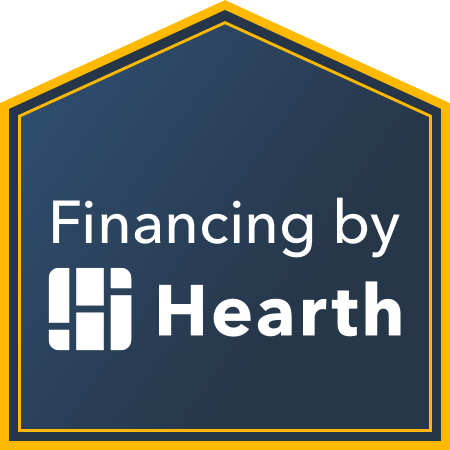 In addition, this specialized software can track the complete cost of managing and maintaining each roof over time. Note that most large facilities have many roof sections of varying sizes, types, and ages. Often due to additions, those variations can exist on the same building. So having readily accessible and accurate roof data is the first key to planning a roof management program to extend service life. Conducting ongoing periodic inspections and condition assessments is important because environments will change over time. Having accurate and timely information about current conditions will affect future decisions about maintenance and repairs needed, and therefore allocations of cost. Also, detecting and repairing problems early saves money, reduces downtime and damage to the roof, and helps prevent premature deterioration. The periodic inspections should be performed by a knowledgeable person a minimum of once and preferably twice each year, and after major weather events. The National Roofing Contractors Association recommends inspecting a roof after the coldest weather of the year and the hottest. The timeliness of making appropriate notifications about defects or damage, followed by making prompt emergency and permanent repairs, can limit the extent of water infiltration and interior damage. • Repairs included under guaranty or warranty coverage. • Repairs and maintenance items that are necessary at owners’ expense. • Repairs that may be insurance-related, such as storm damage. • Recommended safety-related improvements such as fall-protection tie-offs or guard-rails. Safety-related improvements may not be required by building codes but are often required by OSHA and should be considered for maintenance personnel. A person with experience in safety and structural issues should be considered to make such inspections, and may be a different person than the roof inspector. Roofing repair work can be a dangerous and difficult activity when performed by inexperienced and untrained workers. Additionally, adherence to safety and fall protection guidelines promulgated by OSHA, building codes, and standards is paramount, and not following these can result in trouble for the building owner or facility manager. Only qualified and experienced workers should be selected for the tasks to be performed. Further, only qualified and experienced roofing professionals should determine the need for and appropriateness of repairs to be performed, including the applicability of a guaranty/warranty prior to performing repairs. If a guarantee/warranty is in effect, the guarantor/warrantor should be contacted for recommendations as to the correct course of action. While adding permanent ladders, steps, and crossovers may be considered an improvement, having easy roof access is very important to proper maintenance. In the real world, roofs that are easily accessible to maintenance personnel get maintained, and inaccessible roofs do not get maintained. So it’s strongly recommended to add such permanent access components to make all roofs readily and safely accessible. Contractor selection is an important decision and one that may impact quality and cost of repairs. Qualifications should be checked and thoroughly vetted. The contractor should have a good performance track record, be trained and certified in the selected roofing products, and be adequately insured. • Select a stable, professional contractor for maintenance continuity. • Avoid calling or hiring many different contractors thereby losing institutional knowledge and disrupting continuity. • Perform recommended maintenance in a timely manner. • Clean roofs and remove trash and debris regularly. • Carefully document and maintain records of each repair, including the contractor and cost. Controlling access to the roof and documenting who, what, when, and where activities are taking place on the rooftop is important toward achieving a long service life. A great deal of damage is done to roofs by unauthorized or poorly trained workers on roofs, often performing maintenance on mechanical equipment without regard to protecting the roof. It’s important to have a written policy regarding roof access and work on the roof. Commercial owners and property managers should include a clause in the tenant lease regarding the items noted below. The policy should outline steps to control and monitor roof access and procedures to record the personnel who gain access to the roof, along with the purpose and time duration of all rooftop visits. • All penetrations, equipment, and roof modifications must be done only by the owner-approved roofing contractor. • Tenants, building users, and mechanical contractors should not be permitted to use their “own” roofer. 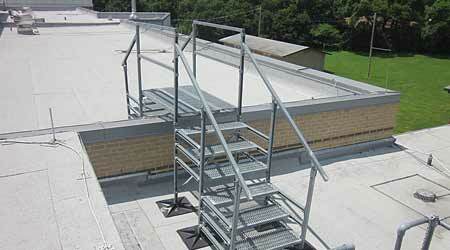 • Roof access is restricted to authorized people and contractors. • Contractors are required to follow an owner-approved construction detail manual showing the approved method for flashing all rooftop equipment. Consider using technology to monitor conditions and help investigate roofing, mechanical equipment, and building enclosure problems. Accurately investigating and identifying roof leaks or defects attributable to water infiltration can sometimes be simple, but experience shows that diagnosis can also be very difficult and involve substantial effort and time. A complex leak problem can be attributable to multiple sources. • Infrared thermal mapping in conjunction with inspection openings can reveal locations and magnitude of entrapped moisture. • High-voltage and low-voltage electronic leak detection (ELD) can help identify specific defects. • Electrical impedance meters (e.g., capacitance meters) and nuclear gauges, in conjunction with inspection openings, can identify the magnitude and extent of moisture in insulation. • Drones can provide visual and aerial infrared images of difficult-to-reach roof areas and good overall views from above.